“Brotherhood of Organizers of Student Self-Government” is a non-governmental organisation for student activists and everyone interested in student self-governance. The goal of the organisation is to increase the role of students, reveal the potential of each student and thereby improve the quality of education in Belarus. The organization was created in May 2013 and aims to develop campaigns and creating a community of student activists and solidarity between student self-governance organizations of different universities. 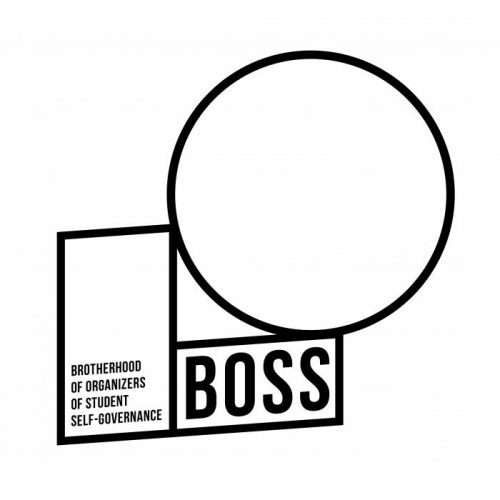 The first BOSS conference with the Board elections took place in 2012. In 2013 there was A first attempt to register the organization as a student association, which has the power to bring students together. But because of the specifics of the Belarusian legislation the request was rejected on the basis that students unions are not legal entities and they cannot be united. In the end, the organisation got registered as the Institution “Student Think Tank” within which BOSS is legally created. Among the main paths of BOSS’s work are: student self-government, student rights, Bologna process, student employment, student work distribution after universities, career guidance, analytical center, educational seminars and workshops. –Team spirit. It arises from the concern that only team spirit and mutual trust are the main driving forces for our volunteers and their achievements. – Personal development. All members in the organisation feel how their personalgrowth and possibilities are growing through numerous educational activities. – Pluralism of ideas. Equality of opportunities, democracy. Freedom of speech and the right to dissent. Collegiality. Impartiality. –Grassroots. The organization was formed from the desire and actions of student themselves, and not through political decision. –Networking and mobility. Our network brings unites the best minds in Belarus, who are willing to work together for developing Belarusian education.